DVDSmith invests more strength to promote their programs recently, re-organize the website with a more beautiful look, release PR for Christmas Campaign, provide unbelievable low price for all its DVD and blu-ray software. Here we would like to introduce the FREEWARE for your refference: DVDSmith Movie Backup Freeware. 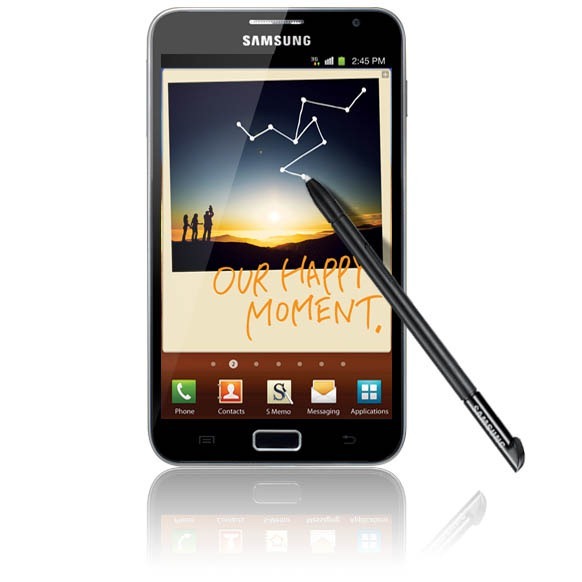 The software has a software and dark design of the interface. 3 items and 2 buttons are in the interface. Clear enough for both beginners of professionals to use it from the first time. What can DVDSmith Movie Backup do for your favorite DVD movies? Ok, let’s come to the important part. Can it really copy all DVD movies with high quality as it says in the website? I try to copy Thor, Transformers 3, Pirates 4 , and the answer is yes, it worked. And I try to play them with VLC media player, can be played successfully and smoothly. Work well enough for a freeware as I think. DVDSmith is good enough to copy DVD on hard drive as DVD Folder or ISO Image File freely. It helps a lot for those need to go for a long-trip but do not want to take the heavy DVD bags with them all the way. Copy your favorite DVD movies on hard drive with DVDSmith Movie Backup freeware, and also install a media player such as KMPlayer or VLC, so you can watch them on your laptop directly without any burdens. By the way, http://www.dvdsmith.com offers special offers for Christmas till 5th January. If you need a DVD cloner software besides copy DVD to hard drive, also need to rip DVD to videos with excellent quality, or burn DVD-9 to DVD-9 , DVD-5 to DVD-5, shrink DVD-9 to DVD-5 for your favorite DVD movies, DVDSmith Inc. also provides different DVD cloner software with generous discount now. DVDSmith Inc. (www.dvdsmith.com) is a multimedia software company that develops and markets DVD copy, DVD ripper, Blu-ray copy and Blu-ray ripper programs for both Windows and Mac platforms. DVDSmith products will circumvent the copy-protection schemes used on commercial DVDs and enable you to make copies of store-bought DVDs. Since its beginning, DVDSmith Inc., the software development company with expertise and experience in DVD Backup applications, has recognized the vital need for seamless access to DVD moive in any formats across any video devices – in a way that is transparent to any user’s workflow. DVDSmith turns out a new look this week – TAKE A LOOK NOW! As a film lover, you may collect a collection of DVD movies like me. What do you do with your favorite DVD movies? Just lock them on your drawer and let them scratch or damage after some time? That is not what we should do for our favorite DVD movies. One of the best ways to backup DVD movies is that making some DVD copies or copying DVD movies on hard drive. How to copy DVD movie on hard drive as DVD folder or ISO Image File? 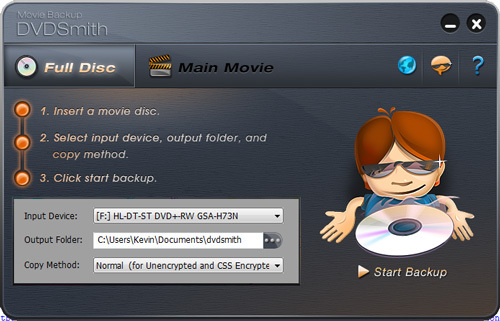 Here we introduce A DVD BACKUP FREEWARE named DVDSmith Movie Backup. DVDSmith Movie Backup is a totally free DVD copier and DVD backup software which can decrypt and remove all kinds of DVD protections, copy DVD to computer hard drive as DVD folder. You can flexibly copy entire DVD disc or copy main movie only. Copy your favorite DVD movies to computer hard drive as DVD folder. You can either use full disc mode to copy all titles, chapters, special features, etc. or use main movie mode to copy the longest title. 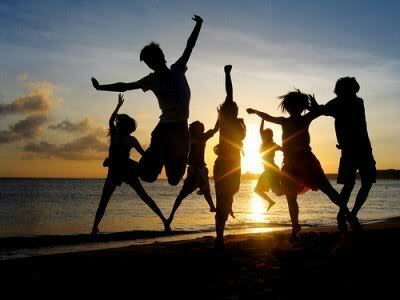 The free DVD copying software is very intuitive that any one can copy and back up DVD to hard drive in only one click. After copying DVD to hard drive, you can use VLC Media Player, KMPlayer, Windows Media Player, etc. to play. With advanced DVD decryption technology, DVDSmith Movie Backup work as a complete DVD decrypter to decrypt DVD copy protections like CSS, RCE, APS, UOPs, etc. 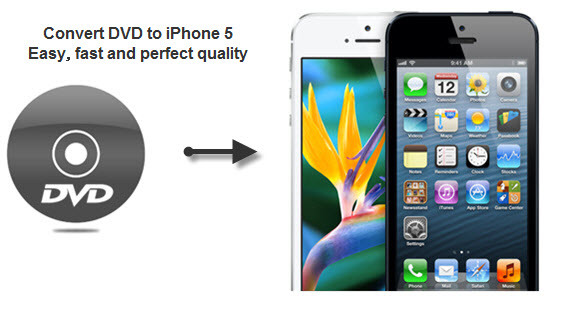 Also, we frequently update DVD copying engine to support backup of latest DVD movies.